Know your blood type and eat right based on it to be more energy feel more like yourself and lose weight. And there’re more traits to your blood that you should know. Many of us probably have heard that a healthy diet is essential for good health and weight control. Many of us have tried diets that failed over and over again. What if that was because we were doing it all wrong? Naturopath Peter J. D'Adamo has suggested that we should eat according to our blood type – and that is the way to finding and maintaining good health. How does this work? D'Adamo explains that it has to do with the chemicals in your body and the foods you eat. The chemicals react favorably when you eat certain foods that are designated for your blood type. This can lead to weight loss, more energy and disease prevention. Features: You are a focused leader, very energetic, ready to take on the world. You are responsible and organized, but can get angry when things don't go your way. This blood type is the “original” blood type, and your ancestors were hunter-gatherers who relied heavily on animal protein to sustain themselves. What to eat: Lots of protein! Look for lamb, turkey, beef, chicken, fish, kelp and seafood. Salt is also a good idea to help with thyroid function. What to avoid: Look out for wheat products, like breads. Avoid dairy if you can, as it probably won't go with you. Avoid veggies like cauliflower, mustard greens and Brussels sprouts. Features: You are a hardworking, responsible and calm person who strives for perfection. You are very detail oriented and extremely organized, and extremely sensitive! You come from ancestors who began using farming methods to grow their food. What to eat: You need lots of fruits! Fruits of all kinds on your plate are great, as well as veggies like broccoli, artichokes and greens. Have some fish and poultry but not a lot, and avoid red meat. Cereals and pasta should be staples of your diet. What to avoid: Avoid sugar, caffeine and alcohol in order to feel your best. Features: You are unconventional, relaxed and fun – though you may sometimes come across as cold, because you value thoughts more than feelings. You come from a long line of those who moved into the Himalayas and domesticated animals, thus living on meat and dairy. What to eat: Anything dairy is good for you, and so is red meat. Fish and turkey are better than chicken, and of course any veggies to balance things out are great, too. What to avoid: Avoid wheat, buckwheat, rye and the like, as they are tough to metabolize. Avoid seeds and nuts too. Features: You are difficult for others to understand and sometimes volatile, but you can also be trustworthy. You probably are drawn to things like art and metaphysics. You have the newest blood type, and therefore can handle a wide range of foods. What to eat: A diet that is high in veggies and fruits is great for you. Seafood is one of your best indulgences, so go ahead and have plenty of it! What to avoid: Avoid serious carbs and bypass the smoked or cured meats. You should also avoid caffeine and alcohol. Here are more suggestions on how to eat right for your blood type and your lifestyle. According to the theory of Dr. Peter D'Adamo, you can adjust some of your life habits. Besides eating right and exercising, type O people should make lifestyle changes gradually, as trying to tackle everything at once can lead to frustration. To that end, develop clear plans and tasks that will be done by a certain date. Make a point of slowing down, including chewing slowly, and eating all meals while seated at a table. When you get stressed, you might make bad decisions. Avoid making those decisions or spending money – go get some vigorous exercise instead. Get physical activities instead of turning to things like alcohol, tobacco or sugar. Type A people should strive to have creativity, but they should also have a consistent schedule to make sure that creativity stays at its peak. Sleep for eight hours or more, and when the alarm goes off, get moving! Take at least two breaks during the day to stretch, take a walk, or just take deep breaths. When it comes to food, don't skip meals, try not to eat when you are anxious, and have more protein at the start of the day. Smaller, frequent meals are best, and so is regular exercise. To make sure you are staying healthy, go for regular heart screenings. Embrace your unconventional side. Visualize what you want and how you want it, especially during meditation throughout the day. Put your complete attention into your tasks and watch them get done faster. Sleep for eight hours or more to maintain your circadian rhythm. Be spontaneous, enjoy your community and tap into your natural-born networking skills. Head off memory loss by doing things like crossword puzzles, or take classes to learn a new language. Be kind to yourself. Avoid competitive situations, ritualistic thinking and quick lifestyle changes. Have a clear plan for goals, including deadlines. Use visualization to understand what you want, spend time with your community, but also find time to spend on your own. When it comes to exercise, you need a lot of it, but choose some easy ones – stretching and yoga are great. Is Eating Right for Your Blood Type Scientific? Remember that while you should eat right for your blood type, you should never cut out entire groups of foods unless directed to do so by your doctor. Unbalanced nutrition is never good, no matter what your blood type is. 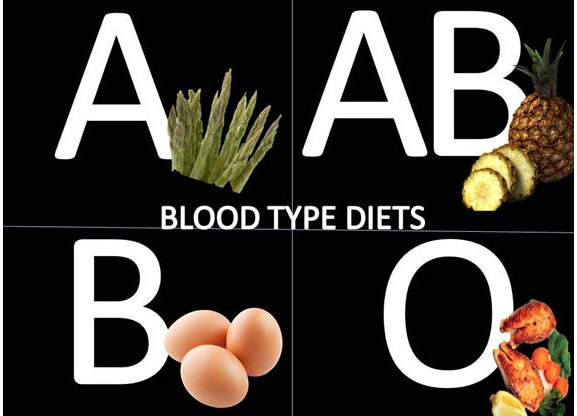 Speak to your doctor about whether the blood type diet is right for you. Though the diet is based on scientific principles, you might have other issues going on that require a different type of diet. The best thing to do is jump onto the diet for a trial period after the okay from your physician, and make sure it is right for you. I Ate Moldy Bread! What Will Happen?